Created by the Cardinal Ritter High School Newspaper Class. 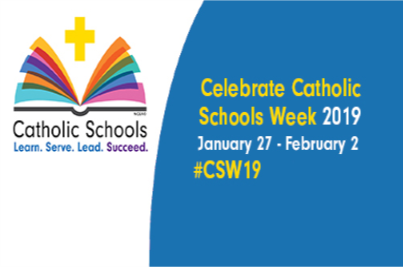 Since 1974, Catholic Schools have celebrated Catholic education in a weekly celebration known as Catholic Schools week. It starts on the last Sunday of January and runs all week. Schools celebrate this week by having masses, open houses, and other activities available for people who are a part of the catholic community. 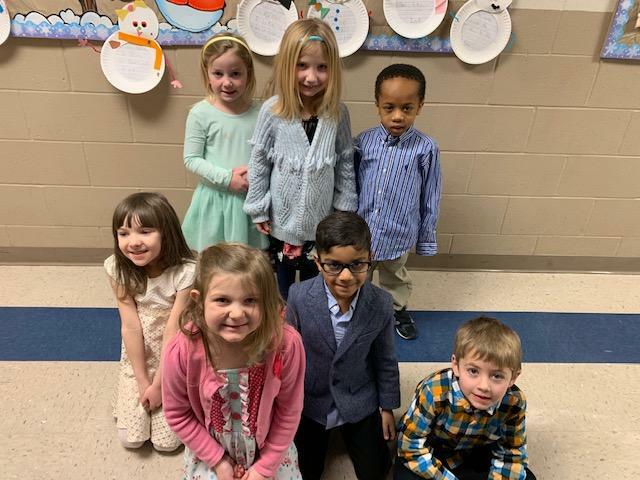 Catholic Schools Week is a week of fun activities, dress down days, themes, and more. 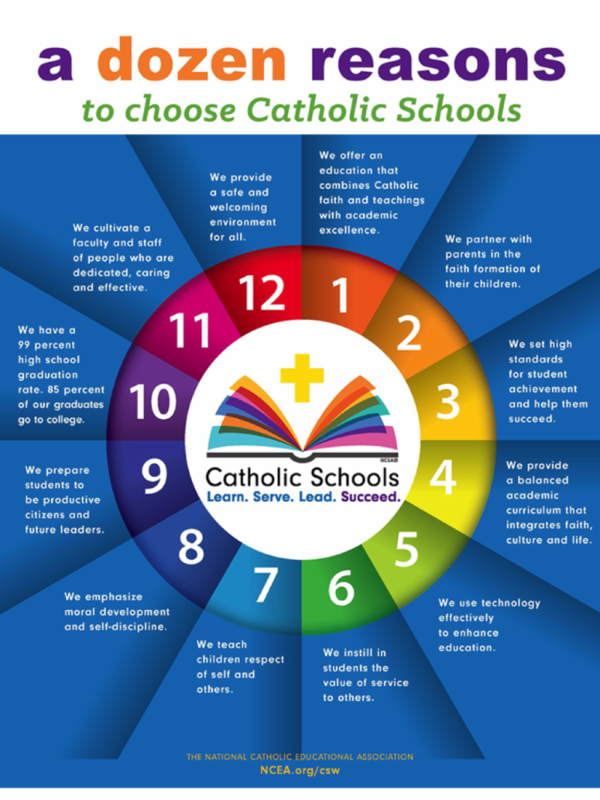 According to the NCEA, Catholic Schools Week offers an annual opportunity to get the community involved and demonstrate what makes Catholic schools stand out. Theme days filled every Catholic school in the nation: on Sunday, schools celebrated their parish; Monday was a celebration of community; Tuesday, schools celebrated their students; Wednesday focused on our nation; Thursday, schools celebrated vocations; Friday schools focused on the celebration of faculty, staff, and volunteers. Finally, Saturday was the day to celebrate families. According to NCEA, the goal of the themes was to bring Catholics closer together and strengthen our relationship with God. Even through the canceled and delayed school days, this Catholic Schools Week brought all of our communities together to do what God has called us to do, and that is to serve Him. Sometimes we forget that we are all brothers and sisters and Catholic Schools week was a great reminder that we are all a family in Christ. 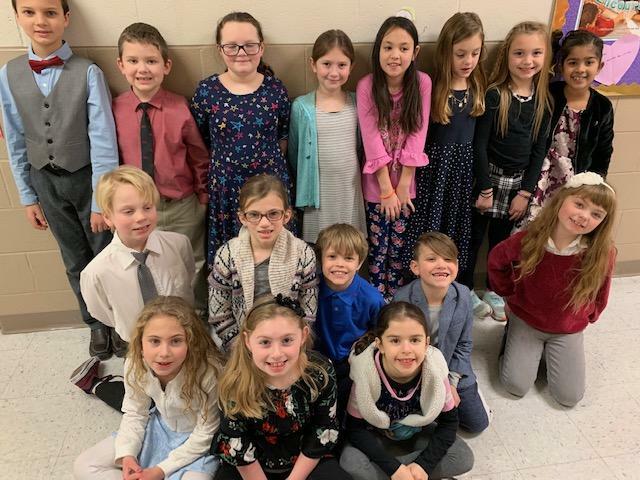 Kaizen Day is 10 service groups that St. Susanna created inspired by the book “7 Habits of Happy Kids.” The groups are randomly formed with students ranging from first grade to eighth grade. 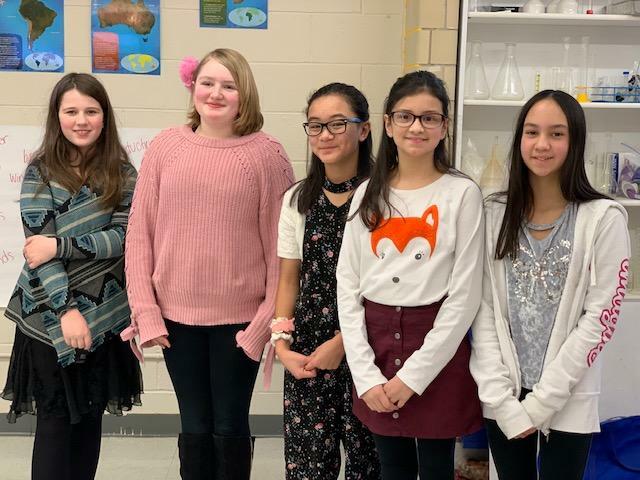 While this is the first year of Kaizen, it is already acting as a leadership opportunity for students to show how they are independent and are willing to put their words to actions. St. Susanna students help so many people in a variety of ways - from raising money to collecting donations. Many students at St. Susanna enjoy the service they do. 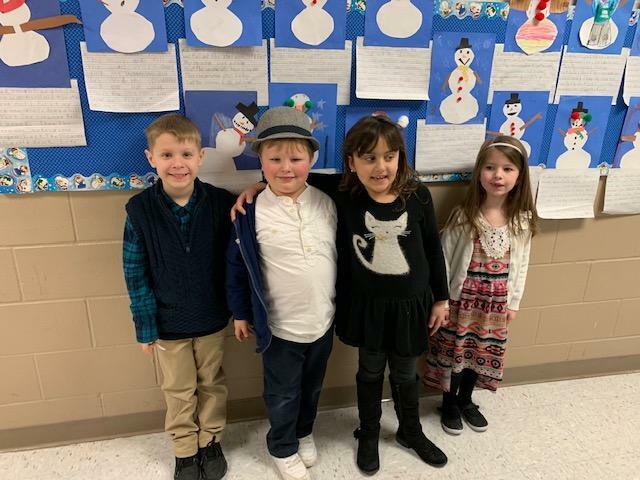 Sofia, a second grader, said, "It feels good and I just love doing it.” In addition to being able to help people, students are able to expand their friend groups and enjoy all of the activities that accompany Kaizen Days. Many of them love the additional bonuses that accompany the volunteer work. 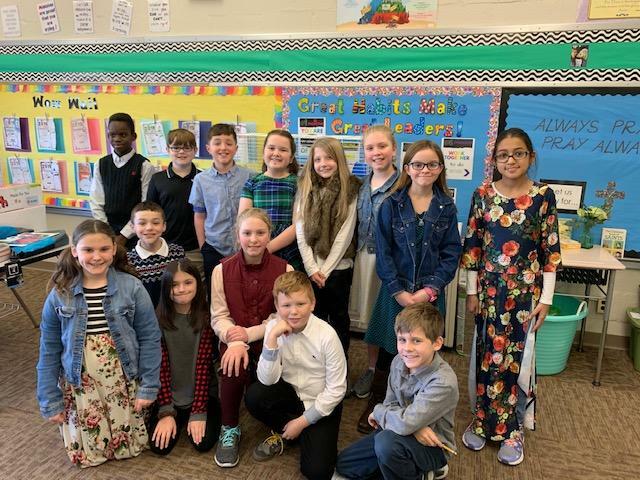 Epperly, a third grader, added, “I love to make friends.” Many students love the opportunity to be able to help their community and come together with their school on this special day they call Kaizen Day. 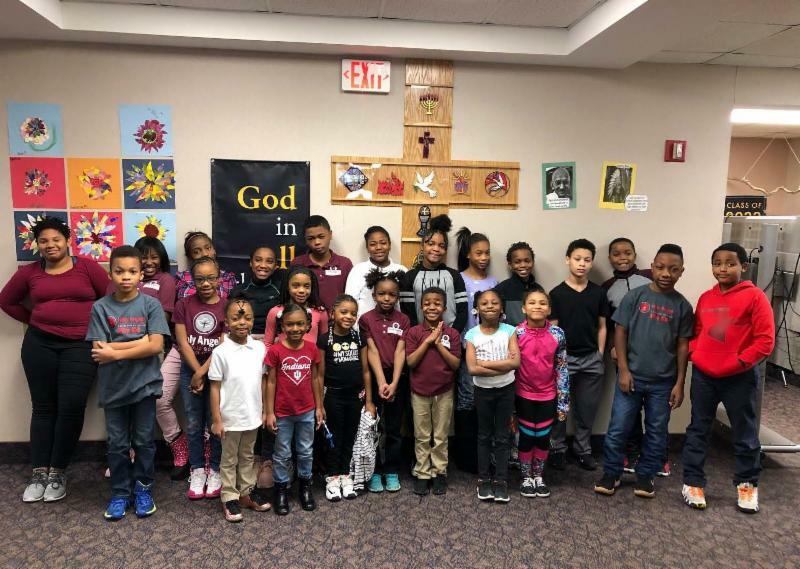 The West Deanery schools in Indianapolis currently include eight feeder schools, St. Michael-St. Gabriel the Archangel, Holy Angels, St. Anthony, St. Monica, St. Susanna, St. Malachy, St. Christopher, and Cardinal Ritter High School. 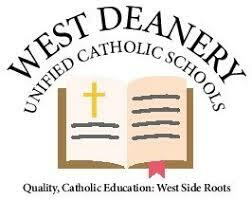 The West Deanery unifies Catholic Schools on the west side of Indianapolis; the Archdiocesan schools are separated into four deaneries. Mrs. Hoy, Cardinal Ritter High School's president comments, “Having four parishes gives the archdiocese a different perspective among Catholic schools.” In the 2018-2019 school year, approximately, 1,681 K-8th students enrolled in one of the eight West Deanery schools. Mrs. Hoy adds, “I think it’s great to know we are the most diverse school in the Archdiocese.” Mrs. Hoy added “...there are 85% Catholic students here at Cardinal Ritter” showing the true focus of families in the West Deanery. Students participated in collaborative games and tasks as well as reflective activities. 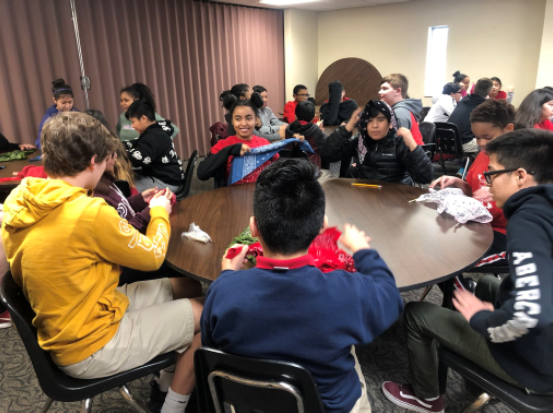 “They’re spending time working together to figure out all the working parts of the body” stated Ms. Castillo, Cardinal Ritter's Campus Ministry coordinator. 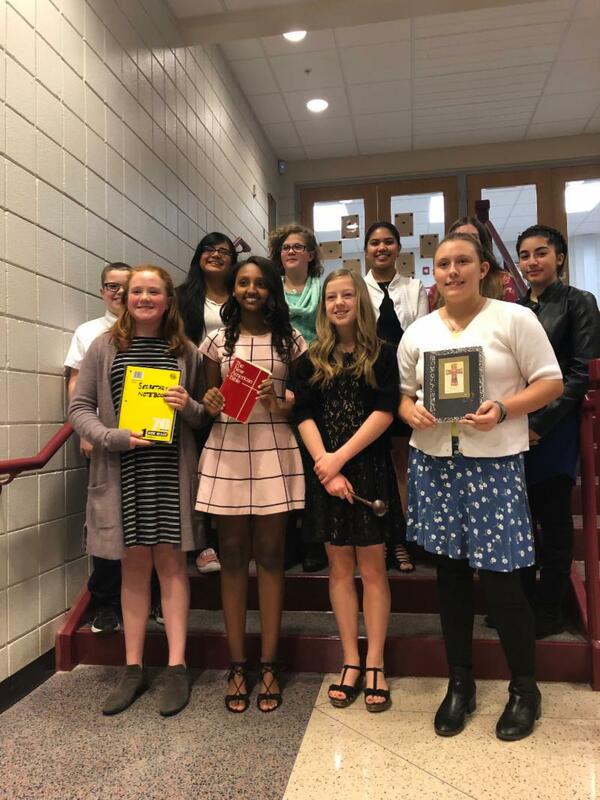 Congratulations to the CRHS Junior High members who were inducted into the National Junior Honor Society. We would love to feature your school's event in our West Deanery Newsletter. Please email Melisa Wilzbacher, mwilzbacher@cardinalritter.org, event details. 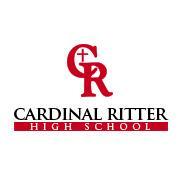 Cardinal Ritter is a Catholic high school that has been educating west-side students for over 50 years. 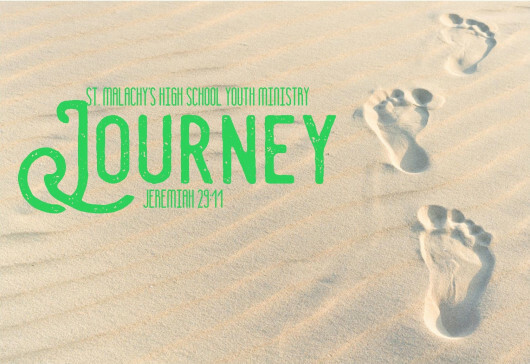 Students experience a diverse community and a college preparatory curriculum rooted in faith and service. The Cardinal Ritter family is made up of hundreds of dedicated students, parents, teachers, staff, volunteers, and a base of over 4,000 alumni. The Cardinal Ritter community is a true blessing. 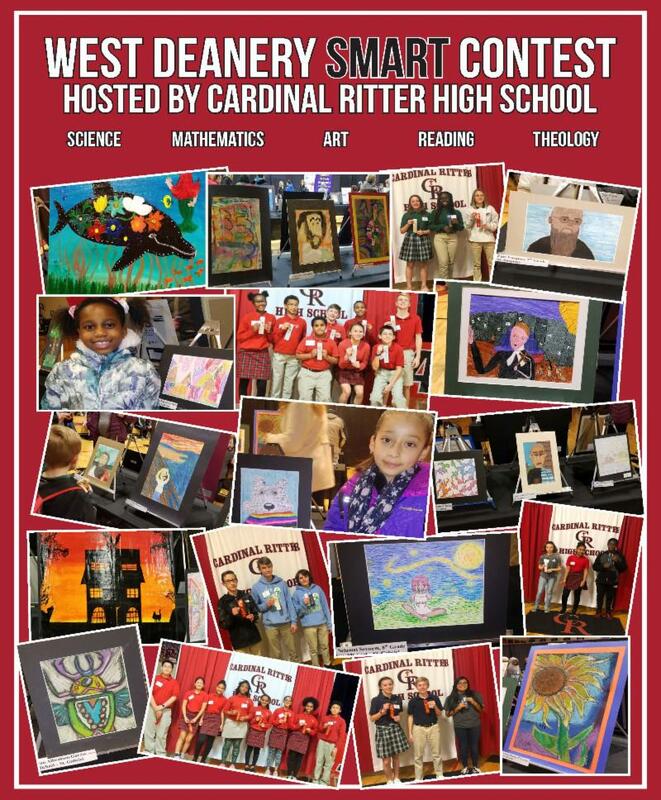 We encourage anyone who may be affiliated with Cardinal Ritter to become engaged with our efforts to fulfill the school's mission.